Family Class Members = is a person who is deceased and will receive no direct compensation. 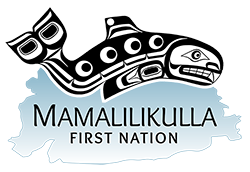 Instead a $200,000,000.00 Legacy Fund is being established to support projects for commemoration, wellness/healing, and the restoration and preservation of Indigenous languages and culture. Estates can make claims. This will go back as far as November 2007. If a person has passed away between November of 2007 and today, the estate of that person can still make a claim on that person’s behalf. So conceivably family members would share in the proceeds of those compensation on behalf of the estate.